Marie and Ed Peters are serious savers. While still in their 20s, they managed to sock away $100,000. Now in their early 30s, the couple has accumulated about $225,000, spread across two 401(k)s, an IRA and several savings accounts. The couple's bottom line is all-the-more impressive when you consider most American adults — including those much closer to retirement age than Marie and Ed — have saved far less. The median retirement account balance was $59,000 in 2013, according to a September 2014 Federal Reserve report. For Marie, pursuing financial security has been a lifetime endeavor. "Savings reduces a lot of stress that I feel like people go through," says Marie, 30, of Alexandria, Virginia. "It really provides peace of mind." She credits vivid childhood memories of her parents’ arguments while balancing their checkbook as a motivator for stockpiling cash for retirement and rainy days. She's also knows the ability to save means you have to pay down debts as quickly as possible. Case in point: Marie retired her student loans a year after graduating. Though her parents covered half of her tuition and she had scholarships, Marie still left school with about $25,000 in student loan debt. "Debt has always made me uncomfortable, just knowing that I owed someone something," she says. "I just don’t like having that out there." Source: Federal Reserve Bulletin September 2014. So, while her other recently graduated friends were buying new cars, clothes and handbags, Marie dedicated herself to steadily paying down her loan. Marie traveled a lot for work in her first job after college so she had few personal expenses. She estimates applying as much as 75% of those paychecks toward her student loans as well as saving $100 from each check. When that job ended, she moved back in with her parents for nine months while working and job-searching. "I really worked to keep expenses low," she says, although she did splurge on flights to see her then-boyfriend, now-husband. Marie also saved during college, having her paychecks direct-deposited into an account back home. When she needed money, her mom would send her a check from that account that she would cash on campus. After college, Marie kept saving, maxing out what her company matches for her retirement plan and making those $100 deposits into her old account. 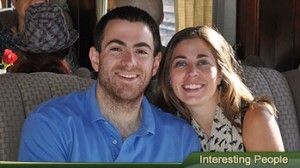 Then, she and Ed, 31, set up a savings plan when they married five years ago. Today, the couple has $94,000 in a Roth IRA, $87,000 split between their two 401(k) plans and $44,000 divided across three savings accounts. They accelerated their savings, especially for retirement, as they won promotions and pay raises, banking those salary increases. Marie is a marketing manager at a tech firm, while Ed is an opening and reopening manager for a hotel chain. Marie and Ed both max out their 401(k) contributions — $17,500 annually for each. Not that they don’t spend money — they’re simply as responsible about spending as they are about saving. All purchases are planned, she says, to eliminate those spur-of-the-moment decisions that leaded to unexpected expenses. Besides small trips to see family and visit nearby cities, they take a significant vacation every 14 to 18 months. "We look at some of the money we put away into touchable savings each month as vacation spending," Marie says. "We'd much rather spend our money on experiences than stuff." The couple banks roughly $700 a month into savings for vacations, home improvements or emergencies. Marie and Ed recently visited Machu Picchu in Peru with her parents and brother, a spot Marie had dreamed of visiting since grade school. They used credit card miles for flights, saving about $2,400 on the trip. In 2013, they tagged a four-day London adventure onto a business trip and spent 12 days touring China and Hong Kong, a deal she discovered for $6,000. 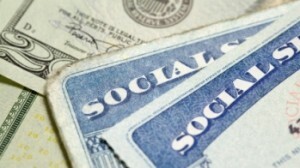 The couple also withdrew money from their savings account for the down payment on their home. Marie admits that although she’s dealing well with having mortgage debt, they typically pay more than their monthly payment and make extra payments when their budget allows. Refinancing in 2013 lowered their monthly payment by $350 a month. "We still pay what we did before the refinance to pay down the principal faster," she says. And when Marie took a new job with a 78-mile-a-day commute, they paid for half of her new Hyundai Elantra with savings. While they could’ve paid cash for the entire purchase, the couple saw "no reason to put all of that down when we were able to get a really low interest rate," Marie says. A new car won out over a used car because of the warranty and low gas mileage, she notes. In addition, Ed and Marie treat themselves to dinner out at least once a week and have video games and other trendy electronics. Even with a home and healthy savings and retirement accounts, Marie says saving will remain a No. 1 priority for the couple. After all, they still have two major goals to meet: starting a family and an early retirement. Having children is about two years away, she estimates. "We want to be financially solid, so we can give them what we want and not struggle." Retirement will hopefully occur by age 55, when she and Ed are still physically healthy and can enjoy life. Although children will likely affect that plan — and at minimum, the size of their home. "I don’t know what these future children will be like," she says. "Kids could change things." Pay yourself first. 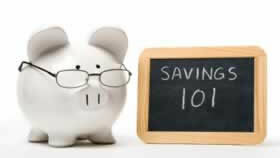 Sure, financial experts always tout this, but Marie and Ed have proven it’s an effective saving method — especially when you have the money deposited into and account and never see it. Recognize the difference between wants and needs and spend accordingly. "Meet your needs first, your wants second." Watch your daily routine. Make lunch out with co-workers or breakfast on the go a treat, not the norm.